Only one of those filters can filter up to 3 500 000 liters of water, which is the daily consumption of 100 people for 5 years. The filter is a real barrier, it removes 99,9999% of all the bacteria in the water! The technology used inside the filters is water treatment using Hollow Fiber Membranes. Those membranes allow water to attain a high level of filtration quickly via pores of 0.1 micron (100 time smaller than human hair) meaning it is impossible for larger elements to go through the filter. 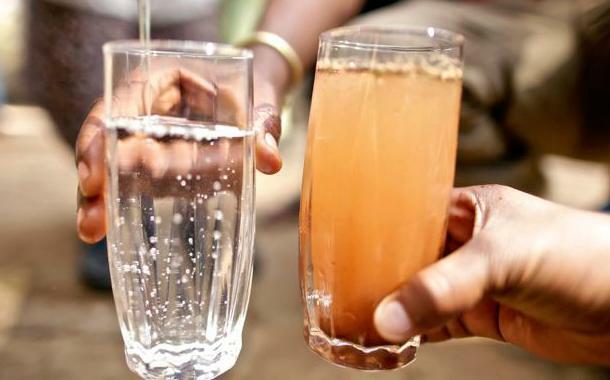 The filter blocks 99,9999% of bacteria in the water. All bacteria and protozoa responsible for diarrheal diseases, displayed in the table below, are stopped by the filter. 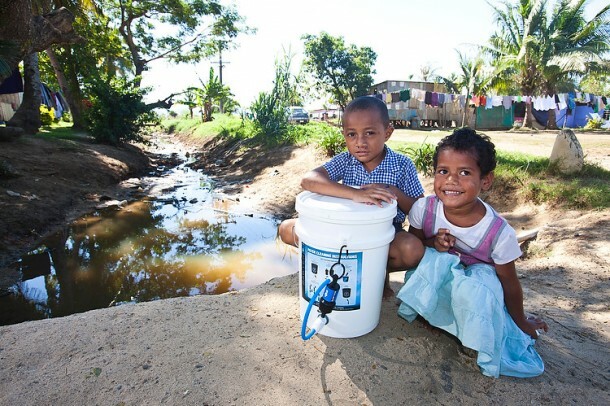 With the filter, communities in need are able to construct and adapt their filter to any plastic containers in less than 5 minutes. The use and maintenance of the filter are very easy. 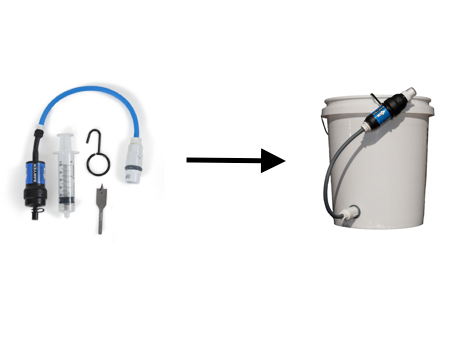 As soon as the flow of water slows down, all you need to do is inject clean water in reverse using the plastic syringe to remove all residues and sediments blocking the micro pores. It is the backwashing technics. A few minutes training is enough to ensure a compatible use and maintenance, for an optimum service life. With a regular maintenance, the filter’s expected lifetime becomes extremely long. Before being replaced, the filter can purify more than 3 500 000 liter of water, which corresponds to the daily use of 100 persons in 5 years.